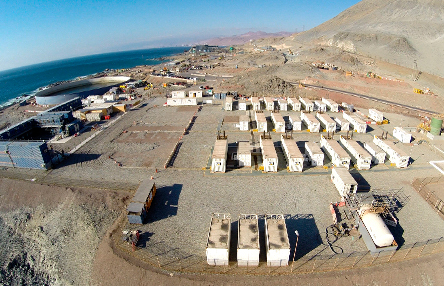 ONE OF THE LARGEST COPPER MINES IN THE WORLD, LOCATED IN CHILE, IS ENERGYST’S CLIENT. Of course, that makes Energyst feel proud. This copper mine processes approximately 230 kilotons per day of copper ore. It’s only logical, that this copper mine depends heavily on power supplies. But when this power is supplied through the existing, vulnerable regional grid… a degree of uncertainty arises that is – understandably – unacceptable to our client. THE REGIONAL GRID HAS BECOME AN UNRELIABLE SOURCE OF ENERGY. Low investment combined with increasing daily demand for new and growing projects in the region have caused this situation. To ensure the mining company’s stable operations, and to help it maximise production capacity, our client wanted a temporary emergency power plant that could make up for this lack of energy reliability. Energyst provided. But we were challenged more than this. TO HANDLE THE COMPLEXITY AND GEOGRAPHICAL SPREAD OF THE MINING OPERATIONS, LEADING COMMUNICATIONS TECHNOLOGY WAS NEEDED TOO. 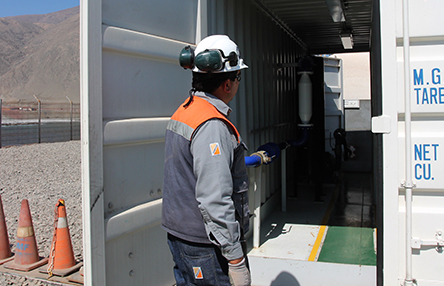 The mining operations include the mining pits, waste disposal, ore stocking and processing, and transportation to a nearby shipping port. And – as a key extra requirement – the company’s strict environmental policies also stipulated minimal nitrous oxide and noise emissions. ENERGYST INVESTED A GREAT DEAL OF ATTENTION AND COMMITMENT INTO FULLY UNDERSTANDING THE CUSTOMER’S CIRCUMSTANCES. In our discussions with the customer we saw that only an above-average, non-standard approach would meet all of their most important requirements. Our custom solution was selected for several reasons, including the fact that it integrated a SCADA system in the power plant, which provides control of remote equipment. This gave our client the leading communications technology needed for the efficient handling of their complex copper mining operations. We understood their concern that a temporary power plant should also have minimal nitrous oxide and noise emissions, to protect the environment and a nearby fishing village. 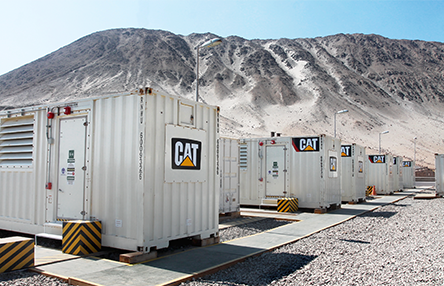 This Energyst emergency power plant solution was configured using 17 CAT XQ2000 IPP model generators powered by a Caterpillar G3516B heavy duty engine that featured low noise levels of 75 dB(A) at 15 meters and low NOx emissions. Nine step-up transformers (4 MVA/13,8KV), one switchgear unit and three external fuel tanks with a capacity of 27,000 litres, as well as 4500 metres of LV cable and 1600 metres of HV cable completed the system, ensuring 23 MW of continuous power and making the mining location invulnerable to uncertain grid power. Project duration: 3 years, plus an option to extend by 2 more years.